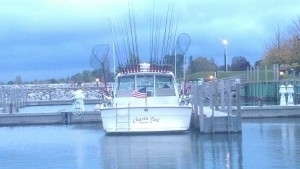 Find fishing in Other, MI and other fun things to do. View our list of attractions, activities, events, restaurants and visitor information. Fishing Charters on Lake Erie and Lake Michigan Here at Double Trouble Sportfishing Charters we are dedicated to providing a quality charter fishing experience. As the seasons change, we follow the fish across the Great Lakes to ensure that our customers are always right in the middle of the best fishing action.